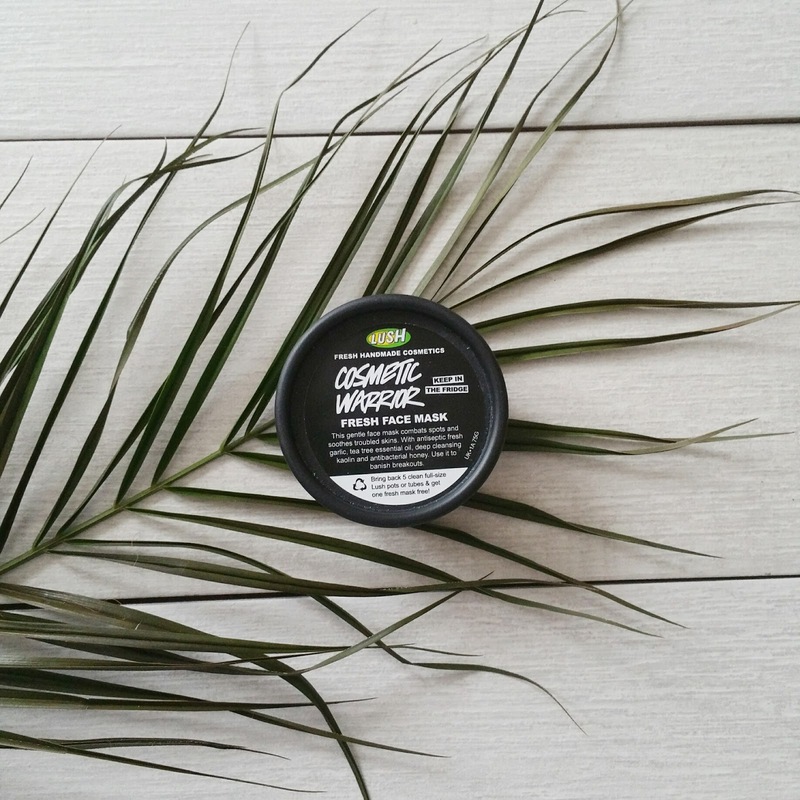 Lush Cosmetic Warrior Fresh Face Mask: YAY or NAY? Right i’m on a mission, a mission to sort out my skin. At the ripe old age of 33 I still suffer from oily spot prone skin. 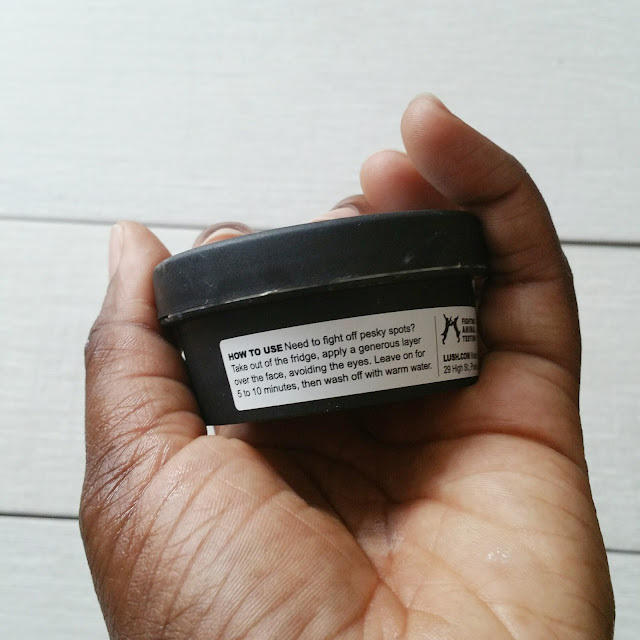 Cosmetic Warrior is for oily and spot prone skin and contains garlic, green grapes, honey and tea tree oil to name a few of it's natural ingredients. The consistency of the mask is rather thick and textured, it’s worth giving a stir with your finger before using it. It feels fresh and cooling on the skin, this is assisted by it's recommended storage in the fridge. Let me just say to you, don’t be put off by the garlickly odour. After a few minutes you don’t even notice it. The mask is to be used on a freshly washed face, avoiding your eyes and left it on for 10 - 15 minutes before it's washed off. The mask does have a short use by date, as with most of the 'Fresh' range. My skin was left feeling so clean and fresh. I didn’t even want to towel dry my face, I left it to dry naturally. I didn’t get that tight feeling I sometimes get with face masks and i did notice my spots were not so angry and sore. This face mask is seriously underrated; Mask of Magnaminty, Cup O’Coffee and Cupcake are always hyped and so should Cosmetic Warrior. 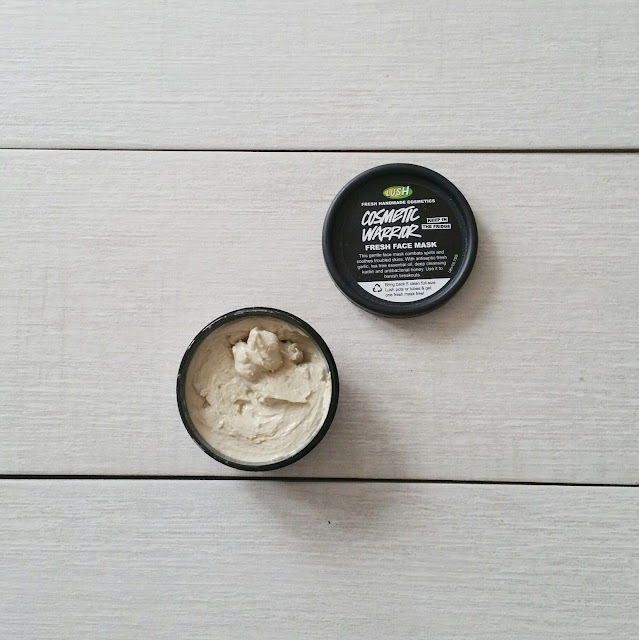 Don’t forget when you return any 5 black pot from Lush you will get a free fresh face mask!